Acupuncture therapy is the use of very fine needles inserted at specific body points to help stop pain, harmonize energy flow, increase metabolism and the potential for healing. Acupuncture is used for many conditions including: allergies, asthma, headaches, body aches, joint pain, hormonal imbalances, digestive symptoms, auto-immune disorders, etc. Acupuncture sessions are typically 45 to 60 minute sessions. A typical course of treatment is between one session and ten sessions depending on how chronic the ailment is. To schedule an appointment with Dr. Gayl Hubatch, OMD (NM) please contact her office at (512) 266-2059. 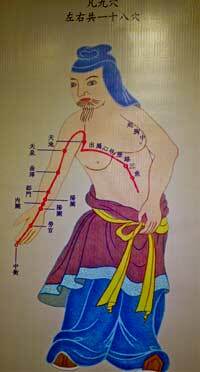 For more detailed information on Acupuncture, Acupuncture.com has an excellent primer on the basics of all aspects of Chinese Medicine.